I recently purchased a bottle of your new colon sweep and am amazed at the assistance it has been to me. In a matter of days it has virtually eliminated a nagging soreness in the gut and I am really beginning to feel like myself at last. Hi, first I would like to say, wow! I went to the docter recently complaining of uper stomace pains under my right rib cage and it even hurt to walk one day. The pain told me somthing was wrong. I am not over weight but had been feeling backed up latley and just sluggish because of that. It was realy depressing and nothing over the counter seemed to cure or help only make it worse or aggervate it. I thought maybe I had gaulstones on top of it. As soon as I started this product the next day I started to feel better and each day after that. I have told all my friends and failmly and put my husband on it now to. Everyone loves it. I am so happy to know that as I get older if I have stomace trouble that I can take action and help my body get better. It has worked just like you said and more because before I had ulsers and they are gone! I can eat what ever kind of salads and fruit I like with out it feel like its coming up. Thanks again. After having rectal cancer surgery two years ago, I have tried to establish a regular bowel schedule by using several different kinds of laxatives, including psyllium. 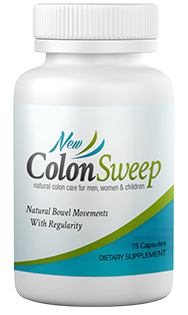 Nothing worked, until I used new colon sweep colon conditioner. Your new colon sweep is the first product that has ever worked on me. I am thrilled! I have had problems all my life and these are the best I have ever taken. The new colon sweep capsules give gentle and natural bowel movement. I always feel better after the fact. I have tried many laxatives and vegetable laxatives that didn’t give good results. Then I got a bottle of new colon sweep and my agony is over. I recommend it, it’s the best. Thank you again for such a good service. I just wanted you to know how wonderful I think your product is. My life has changed dramatically since I began using new colon sweep. I’ve really felt a difference using new colon sweep. I recently started using new colon sweep. It really works! It sure is easier than going on fasts. Thanks for a great product. Presently taking new colon sweep and I am pleased with the results. I suffer with digestive problems and your product does not bloat and promote gas like fiber agents. I am very pleased with your product and have begun to give it to my 12 yr old daughter as well. Thank you. Thanks for such an easy to use, effective product. I’ve tried almost everything on the market for my IBS, and fibromyalgia related symptoms. 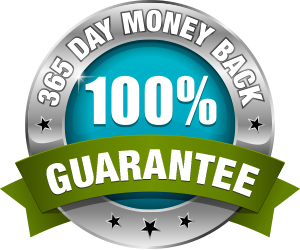 From eliminating diarrhea to bloating and unwanted weight gain; your product has helped me have a more natural occurence of bowel cleansing without the cramping, gas, and anxiety that comes with the need to take supplements. I truly appreciate finding a product that works like it says it will after years of trying it all! Thanks because I’m beginning to feel great again! I wanted to share my thanks for your colon sweep product. I have struggled for years with IBS, constipation, and fibromyalgia related side symptoms affecting my colon. New Colon Sweep works in such a way that I finally feel like I’m having ‘normal bowel function’. Can I even remember back that far?! There is no cramping, bloating, gas or ‘runs to the public restroom’ any longer. I feel free again knowing my body is eliminating waste in an effective, natural rhythm once more. I’m a life long user of your product now- no other supplement or prescription has proved itself more successful for me! Thank you because it really working for me. After a lifetime of struggling with constipation, literally since childhood, I finally found a product that keeps me regular, gently and efficiently. I am a woman in my 60's and have finally found the answer to my problems. I excrete like a normal person now!!! Thank you! !